The South African LGBTQ community is mourning the loss of yet another activist and stalwart in Pretoria’s drag community, Debra de Donner. Thys Pistorius (54), better known as “Grande Dame” Debra de Donner (or “DD” as she was lovingly known), succumbed to brain cancer on the 22nd of January and was laid to rest in Pretoria. Thys was born in Centurion and joined the army after high school, before embarking on a 31-year illustrious career at Standard Bank; in their Operations and Change Management division. He was known as “Mr. 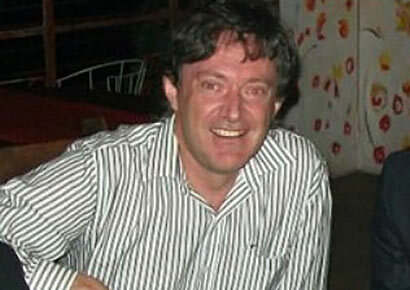 Adkar” to his colleagues because of his sunshine-like disposition and commitment to his job. Debra de Donner started entertaining crowds back in the days when Pretoria’s Stardust club was all the rage amongst clubbers, and soon thereafter gained a reputation as the operatic diva of note, covering the very difficult musical stylings of artists like dame Kiri Te Kanawa and Rina Hugo. Drag subsequently became an artistic outlet and something Pistorius took comfort in during the days when being gay was illegal and frowned upon. Debra would later form a very successful drag troupe with his close friends and sisters, drag-artists Cleo Houston Brown and Petunia Peach. They were known as “Afrique de Sud” and travelled the country to perform at major events like the Pink Loerie Festival, charity events countrywide and even a wedding in Kimberley. 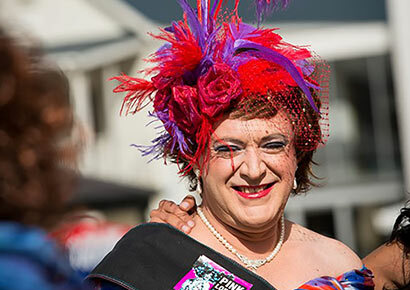 “She was a competitor of note and twice won the Miss Drag Diva competition at the annual Pink Loerie Festival,” said Coenie Kukkuk, a friend and previous organiser of the Mardi Gras festival. “Long live the Queen! I’ve known Debra for more than 20 years now, and she’s always been a pillar of strength for me, especially at the time when we both went through bad break-ups that actually cemented our friendship. Debra, Cleo and I (during one of our outrageous braais) decided more than a decade ago to put up a drag show, ‘sommer’ there in his back garden in Centurion, and thus the amazingly, yearly garden extravaganzas were born. “This annual charity institution later was renamed to ‘Light the Night’ and benefited the Gateway Health Institute as the charity of choice. A lot of money have been raised for different charities through these garden shows. She absolutely lived for these.